In the mortgage or insurance industry, you’re talking about selling a very important product. That means your sales funnel is going to be a little more sophisticated than selling t-shirts. 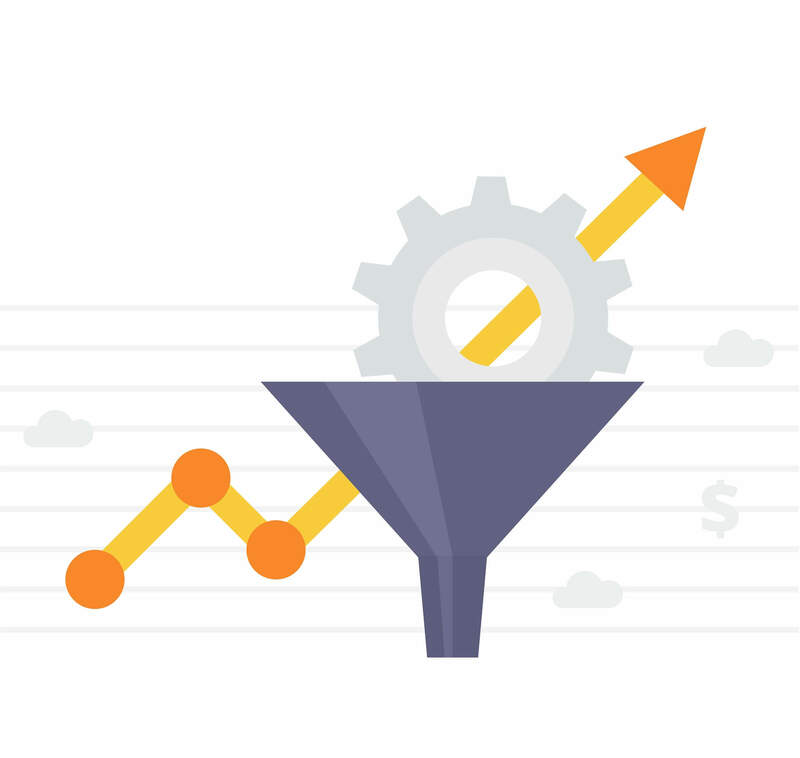 If the concept of a sales funnel seems confusing, let’s break it down into its essence: what are the key steps you need to include in your sales funnel so that it brings in clients and opportunities automatically? And how can you optimize those steps? In simplest terms, “attention” is how you attract the consideration of your intended audience. 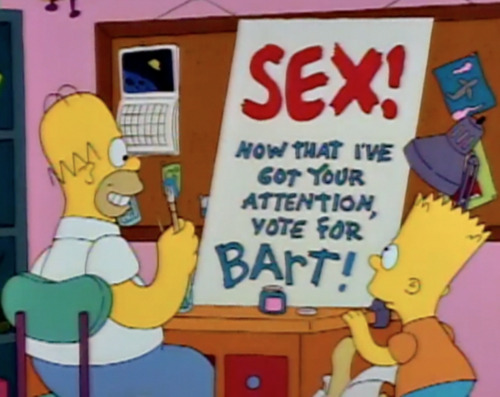 And no—you don’t want to do it like Homer Simpson. Just who is your intended lead anyway? Is it a young couple looking for their first home? Is it anyone who might be looking for a mortgage or insurance service like yours? What’s on their mind, and what websites do they visit? Answer these questions first and you’ll have a much more precise advertisement ready to roll. You shouldn’t just put up a sign and expect people to figure out why they might need your services. You have to think about their predicament on an emotional level. What are they going through right now that your mortgage/insurance service can help with? Once you’ve made the appeal, you need to present your service as the solution to their problems. Because you’ve already identified who they are and what they’re going through, your solution will automatically be more compelling. Now: how do you put it into action? 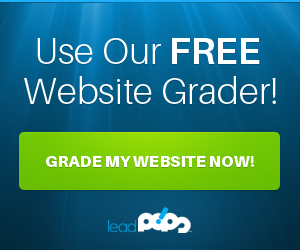 One of the functions of leadPops is to help optimize your ability to capture potential leads. Knowing your intended audience will help you whittle down which advertising avenue might be right for you at this time. For example, younger people seeking a mortgage are more likely to click onto blogs than they are to hear an ad on the radio—that’s just how their demographic uses technology as a trend. Their attention, after all, is a great thing—but it’s also fleeting. Thus far, you don’t have a sales funnel. You just have effective marketing and advertising working in your favor. But what really makes that marketing “stick” is how effectively you can capture that attention and turn many of your prospects into genuine leads. Newsletter opt-in. Maybe you’ve put together a 14-page mortgage guide that you give away for free. In order for your potential clients to download it, they have to sign up for your newsletter. This way they volunteer their email information and they become more than just a marketing statistic—they become a name and contact. Newsletter opt-ins are great for leads who have come across your blog or your online content, because chances are, they’re interested in reading more. Landing page opt-in. Whether you’ve captured someone from an ad or even from organic SEO, a landing page opt-in is simple. In order for them to get access to the next step, they fill in their information—just like with the newsletter opt-in. (In fact, these can even be the same step—just on different pages). Contact forms. This usually asks a little bit more from the potential lead, because they’re taking so much action—but it’s a perfectly viable way to capture leads. Even if you capture fewer leads this way, it often makes a direct way to generate more communication between you and your audience. It also means shorter steps between lead capture and making the sale. The key thing to remember here? Don’t just ask people to do all of the work for you. Instead, entice them to provide their information with some benefits. I’ve already mentioned the possibility of giving them a valuable download when they opt in to your newsletter. Another strategy might be to have them sign up in order to access local homes for sale, or to download a list of “coming soon” listings. Remember the key point here: value. Don’t just expect people to do all of the work. Give them a reason to convert. Now you’ve accomplished a lot: you’ve taken complete strangers and you’ve turned some of them into actual qualified leads. But you don’t have a sale yet. After all, the mortgage and insurance industries require a pretty hefty commitment in most instances. That’s why persuasion is such an important element here. Persuasion is, of course, a topic that can occupy its own entire article. Entire volumes of books have been written about it. But what’s unique about you? This value proposition shouldn’t only be about what your company does, or how it does it. It should also be about the specific problem your audience is looking to solve. For example, the mortgage industry can be confusing to first-time buyers. Does your service make that process easier and specialize in their kind of challenges? This is just an example to get you moving in the right direction. Second, let’s talk about how you implement that persuasion. For the mortgage industry, that might simply be a button that books some time for a free consultation. But whatever it is, it’s important that you make your call-to-action compelling—and obvious. You’ll want to include a link for the call-to-action at the end of every email newsletter you send out. Or, if you’re doing offline marketing like mailers or brochures, you’ll want to include a link to your landing page. Make sure that your call-to-action is easy to spot and compelling. The time for persuasion is over. Now’s the time for action. A call-to-action should reflect that. Whatever you choose, it’s one of the most important elements in a sales funnel. But if you don’t know how to incorporate these tips, let’s make it even simpler. 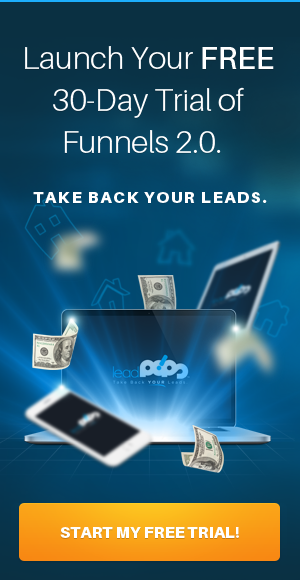 Sign up for a free trial of leadPops to optimize and build sales funnels that work like magic to convert clicks into leads, and leads into sales – TODAY.